Scientists and teachers agree that the best way to start your child’s educational journey is by enrolling them in a quality preschool. The first five years of your child’s life is all about creating a positive foundation. During those first five years their brain is experiencing a tremendous amount of growth. It’s during those first five years that parents and educators can work together to create positive associations for a child with school. It’s important for a young child to feel safe away from parents in a school setting amongst their peers, and to begin to grow socially, emotionally, and academically on their own. To create a solid foundation for learning a child must first feel nurtured and safe. They need to know they are in a place where they have friends and adults they can trust. 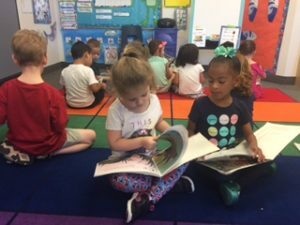 In a quality preschool, like The Iliad Academy, we focus on creating a classroom environment that supports and promotes our students’ growth. We are always looking for opportunities to help a student learn how to enter a playgroup successfully. We’re looking for opportunities to help with conflict resolution in a peaceful manner. 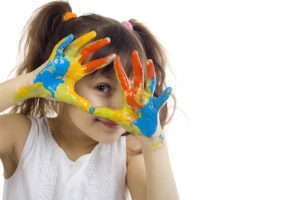 We’re encouraging children to try new things and teaching them that it’s okay to make mistakes and get messy. We’re also teaching them how to express their feelings with words and how to make healthy friendships at school. When there is a solid social and emotional foundation then a child can focus on learning more about the world around them, more about letters and sounds, more about numbers and puzzles. When the child feels safe and valued, then they can prepare to enjoy all aspects school has to offer. The Iliad Academy focuses on building up a child socially and emotionally so their mind is free to grow and explore. Preschool offers a great introduction to literacy, numeracy, and curiosity! The Iliad Academy focuses on a hands-on curriculum. You won’t find worksheets or flash cards in our classrooms. Instead you’ll find us studying the Butterfly life cycle with live caterpillars and exploring the parts of a plant by allowing the class to grow their own in a cup! The class learns sounds through their daily morning message with their teacher, through learning the letters in their name and their friends’ names. The class will explore numbers through hands on manipulatives and puzzles. During center time each child has access to a writing center equipped with scissors, tape, glue, colored pencils, crayons, and more! The child has everything available to them to explore letters and numbers at their level that they can take from the shelf and enjoy. Teachers observe the class and interact with them at the various centers to help enrich their vocabulary with the various tools their using and feed each student’s curiosity by offering more detail and information about the tools in the classroom. For example, in the science center the teacher may observe a student exploring the various toy insects with magnifying glasses and point out the number of legs an insect has, the patterns on their wings, or mention that there are entomologists who study bugs as a profession. Each play center is an opportunity to expand the child’s mind intellectually and socially. The Iliad teacher is there as a guide to help each child along their journey of discovery. 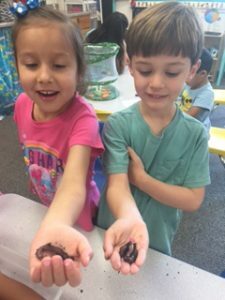 In addition to fine motor skills being developed in the classroom, a preschool, like The Iliad Academy, offers free play as well as structured group games on the playground. A quality preschool will offer opportunities for a child to play outdoors and explore climbing, running, and time with friends. 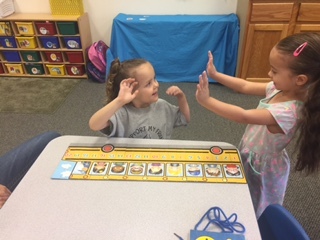 During structured games children are exposed to fun group games where they can cheer on their friends, hear their friends cheering for them, and learn from each other. 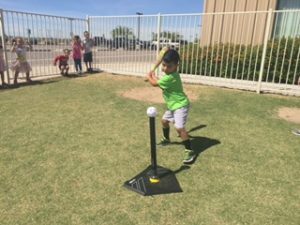 They also practice waiting their turn, good sportsmanship, and how to follow the rules of a game; these are necessary skills to thrive in an educational environment with other children. Preschool lays the groundwork for understanding the rules of the playground. What is allowed, what is safe, and how to have successful friendships both in the classroom and at recess.